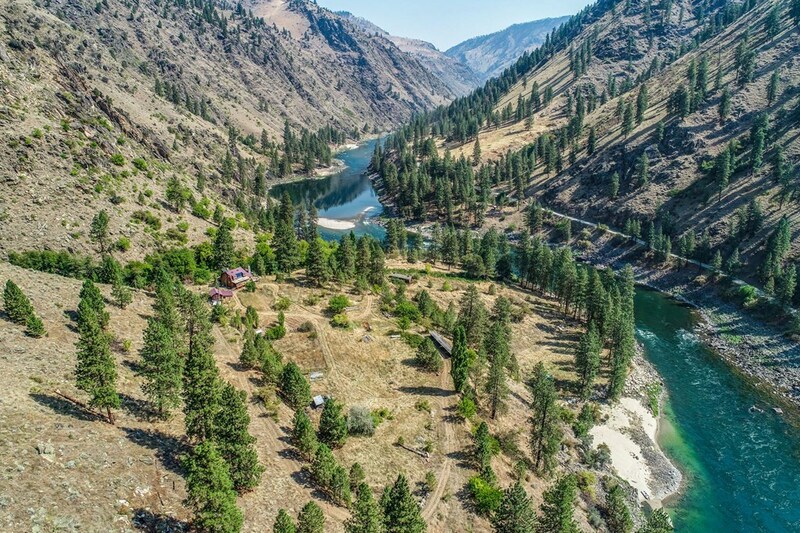 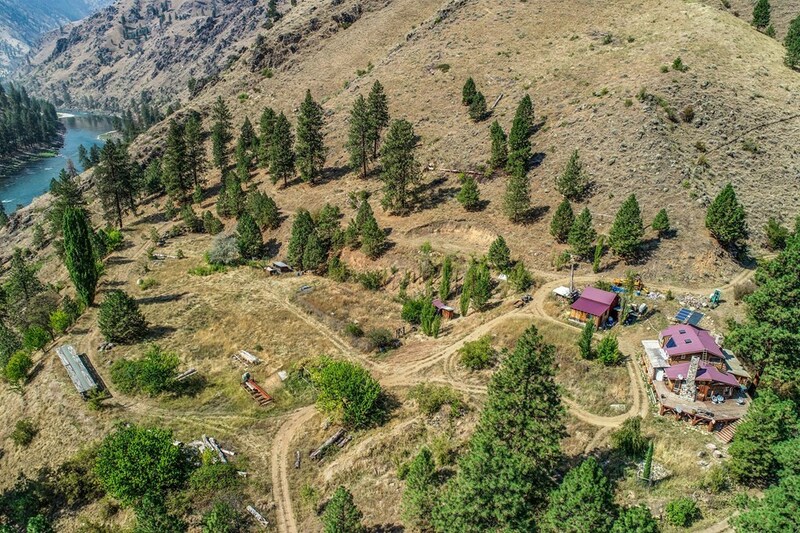 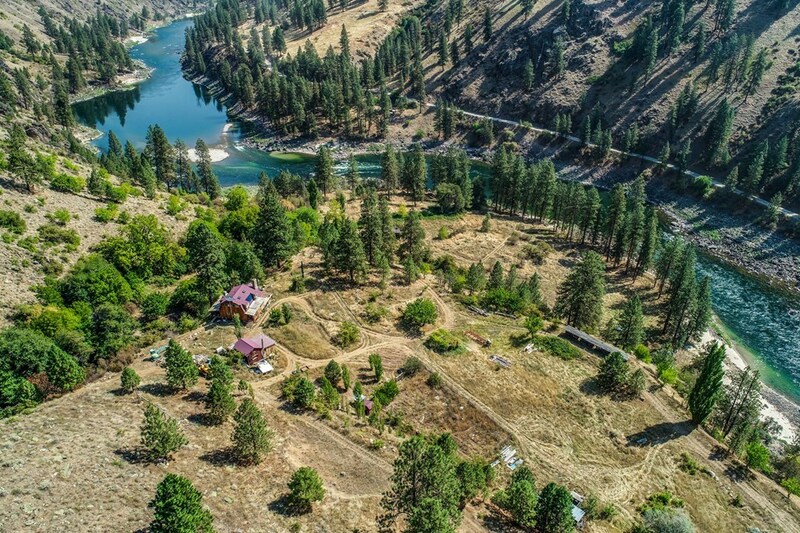 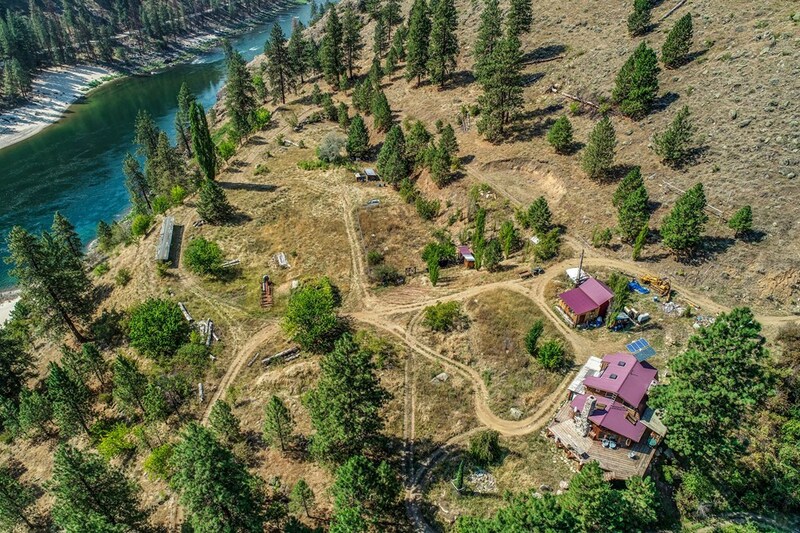 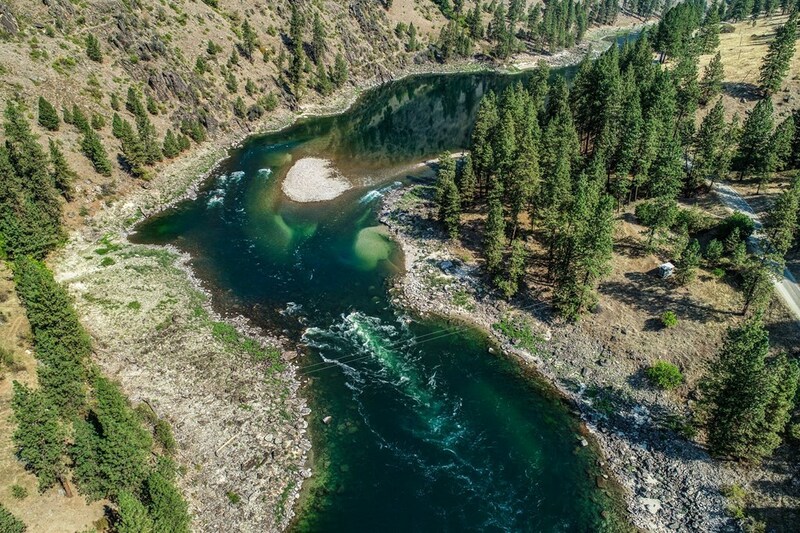 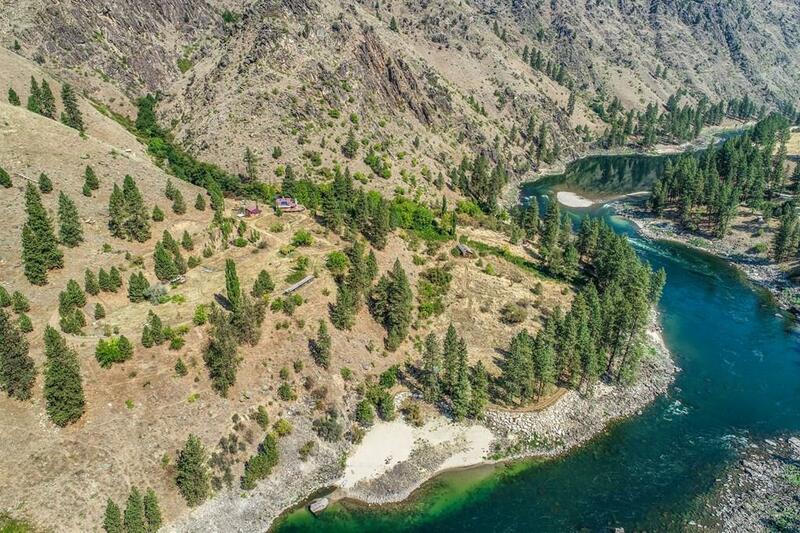 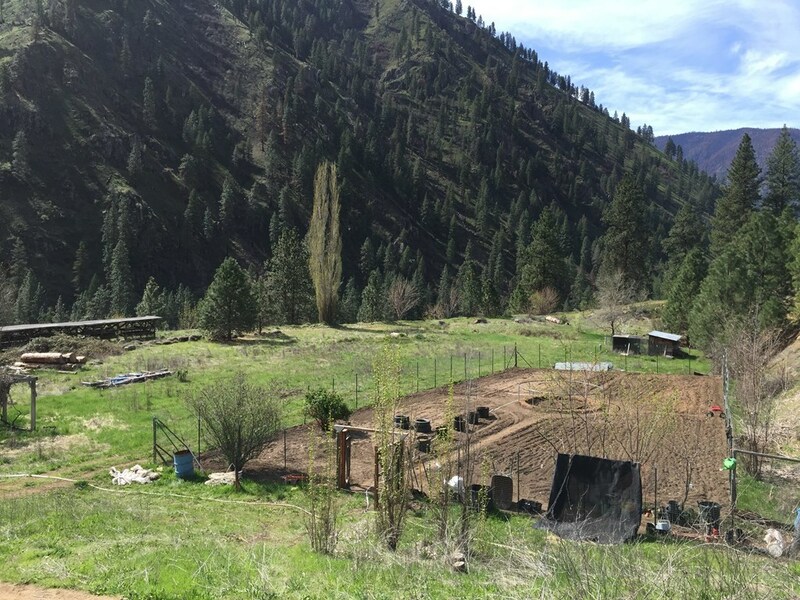 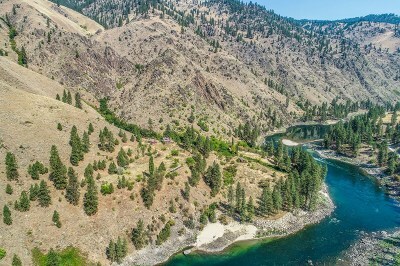 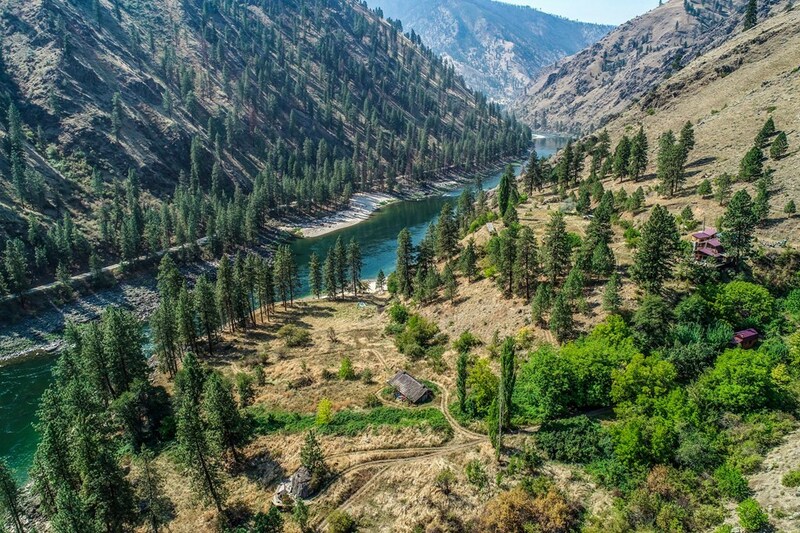 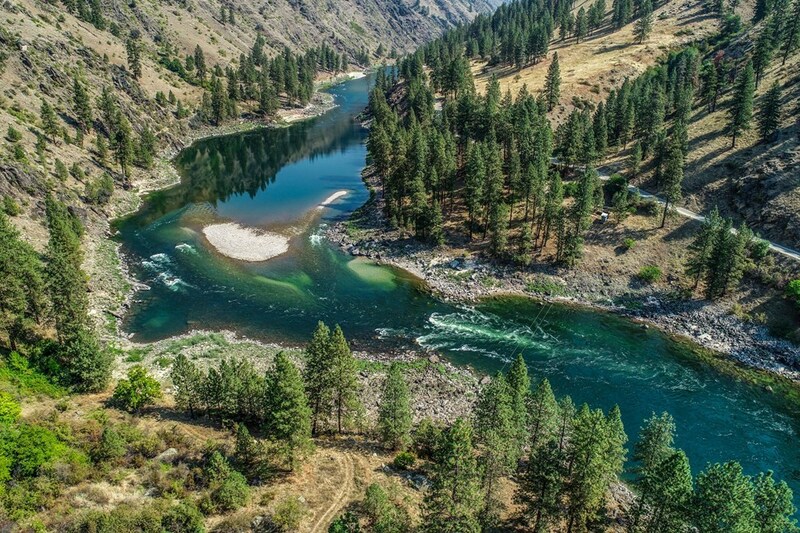 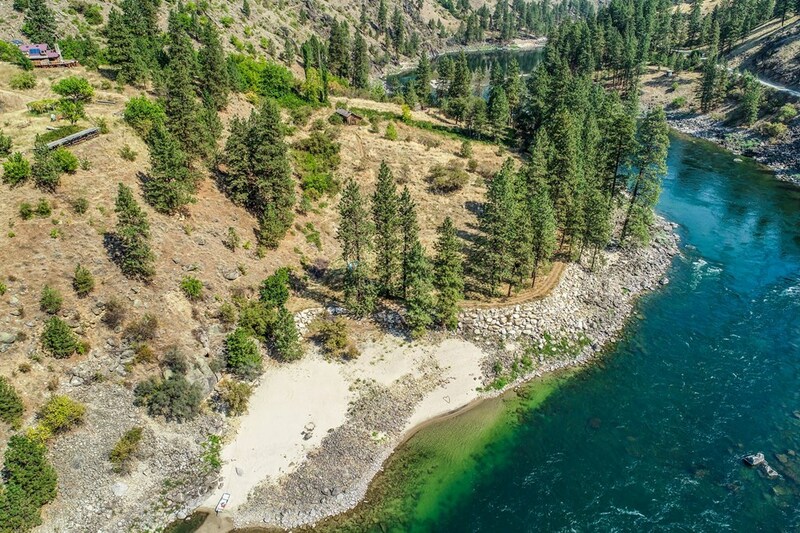 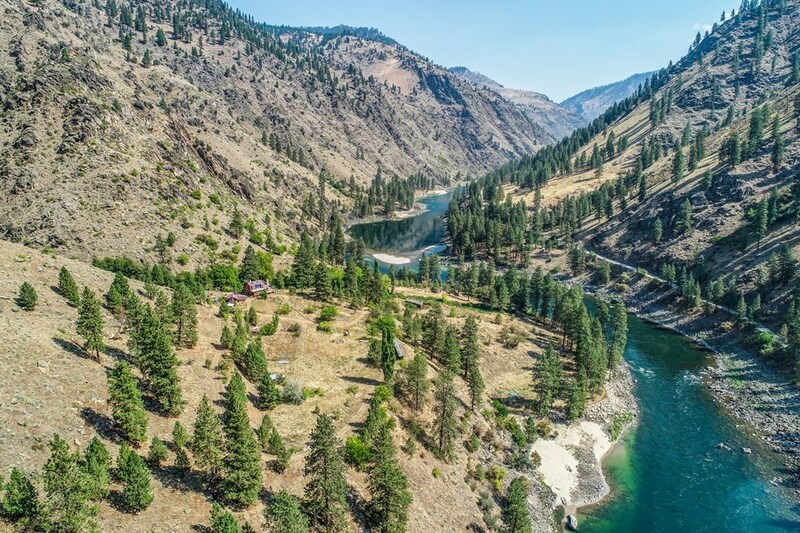 159 ACRE WILDERNESS RANCH on the SALMON RIVER, 3/4 Mile of River Frontage with white sand beaches. Surrounded by hundreds of thousands of acres of National Forest & Wilderness Areas. 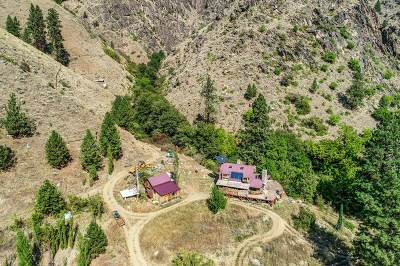 No other private property close by. 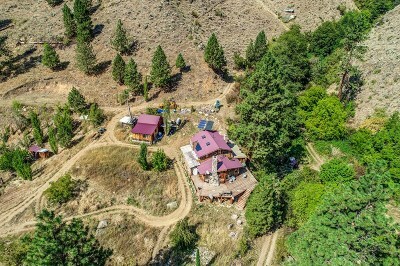 Hydro & solar power with a back-up 5 KW generator. Developed Spring. 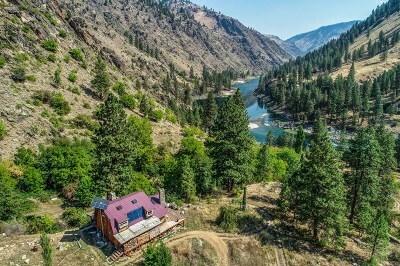 3 BR house with views of the river. 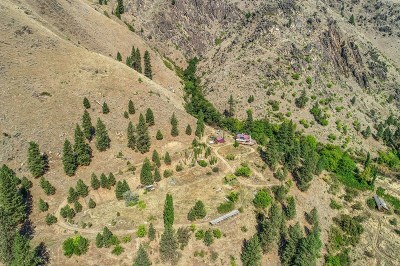 Second developed home site. 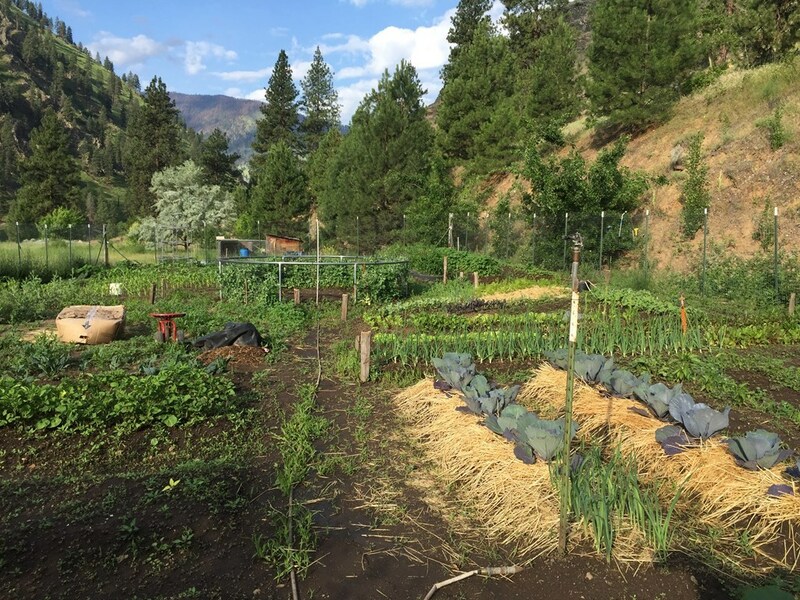 Fruit trees, garden area, grapes. Large barn. 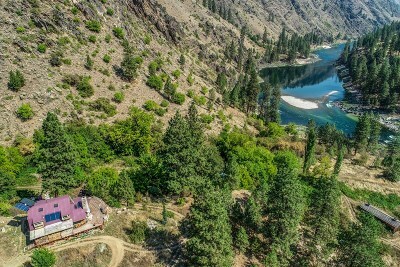 Access by private 700 ft Tramway from the road on the south side of the Salmon River, by trail or jet boat.